An apology, if genuine, is one of the most powerful forces on earth. It can mend fractured relationships, can instantly heal decades-old wounds, can reunite families, can stop wars, can keep a teen from running away. We need more of them. An apology is rarely made these days. People dig in their heels and won’t admit they were wrong. Look at our political climate recently. So much abusive mudslinging and devaluing of people, yet I can rarely recall a truly heartfelt apology. Most are owed but never given. So much pain inflicted. An apology is always a good idea. When you sense tension in a relationship, apologize for whatever you may have done to contribute to it. Even if you think the other person was mostly to blame and you had little culpability, take the first step and apologize for your part anyway. When in doubt, apologize. This principle will serve you well. An apology must be clear. I should state what I did wrong and demonstrate that I understand the damage I did to the other. It requires a spirit of brokenness. An apology removes bricks from the relational walls that separate us. And builds bridges instead. An apology coming from an authority (parent, government leader, etc) is not a sign of weakness, but rather a sign of strength. The impact of such an apology will actually garner respect and your children or constituents will follow you with more loyalty than if you tried to cover up your obvious misdeeds. Children whose parents are in the habit of apologizing for their errors will grow up taking responsibility for their own blunders. An apology is meaningless if done out of obligation. An apology should be freely given, but never demanded. To tell someone, “You owe me an apology” doesn’t fix anything. It simply puts the other person under obligation. The apology that may follow will be forced, with no certainty that it was genuine. I some cases it may be useful to let the other person know how their actions hurt you–then it would be up to them to apologize, or not apologize. But be careful here: if you tell them how they hurt you be sure you’re doing it for their benefit, not as a way to attack them or play the part of “victim” to garner sympathy. Those motives describe revenge and manipulation. Unless we are convinced it would help them grow, I think it’s usually best not to elaborate on how they’ve hurt us, but rather focus on loving them in spite of how they treated us. An apology should not be forced upon children, as in “You owe your brother an apology.” Parents’ response to injustice should be justice not empty words. An apology should be made in public if the offense was made in public. This kind of apology is especially powerful. I saw a vivid example of this on a youth event once. Both parties apologized publicly for the disrespect they had each publicly shown the other. It was a profound moment and the tension in the room melted immediately into harmony. I will never forget that moment. An apology must be followed up with changes in how you treat the person. If your subsequent actions negate your words then your words will mean nothing. When someone can’t believe the words that proceed from your mouth then you have little left. An apology should be done as soon as you realize you’ve wounded someone. “Don’t let the sun go down on your anger.” God’s advice is prudent — you’ll both sleep better. A delayed apology is the same as no apology, just as delayed obedience is disobedience. 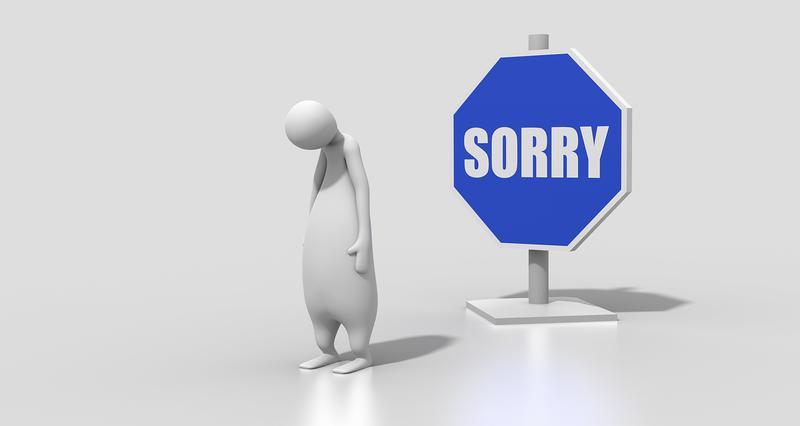 An apology ought to be made as frequently as you mess up — daily or even more than once a day. I suspect living a life of quick apologies will ultimately result in having less need to apologize. These Life Skills might save your child’s life someday.